I have very little to add to Lale’s review. Someone suggested to me we should give certain books of modern literature the benefit of a doubt, for the same reason we uneducated lay-folk use to accept on sight modern physics or Einstein’s Relativity theory. Now I can think of all sorts of definitions for the meaning and purpose of imaginative literature — to serve as the arcane Cabala for the initiates of a secretive cult is not one of them. If a novel lacks what it takes to reach every conceivable kind of reader, regardless whether it is to be received as a pleasure or a nuisance, than it is a failure, plain and simple. Imaginative literature can’t afford to dissociate itself from its readership because the “lay-reader” is the very rationale for its existence! I was in the last year of high school, I had just turned 17. Our English teacher, RIP, a very remarkable, very knowledgeable, wonderful woman and educator, made us read To the Lighthouse. English was not our mother language. Being so young (i.e. not in possession of long attention spans) and not quite comfortable with the English language, most of us hated the book. I personally did not understand most of it and, years later, I couldn’t even remember the plot (there is barely one). Today, having read the book again, I conclude that this is not the right book for a high school reading assignment. It is not fair to expect adolescents, especially if they are not native anglophones, to understand the subtleties of the thought process, the human relations, and the psychological analysis that are delivered in long, winding paragraphs. 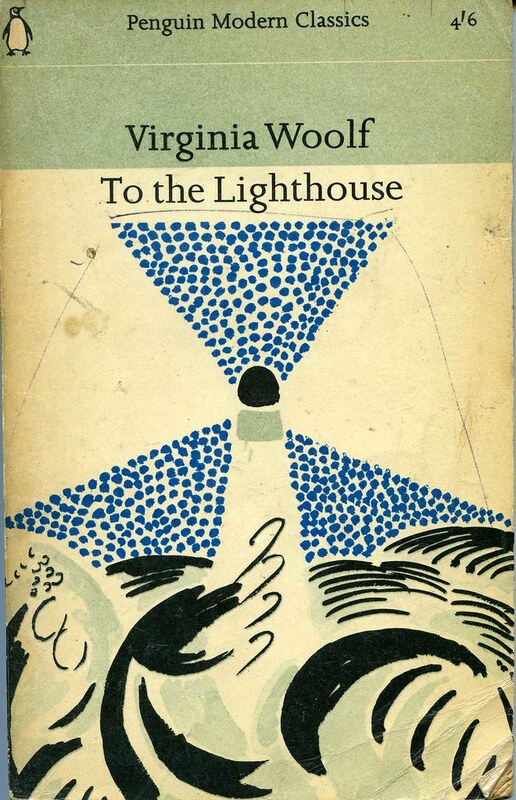 I like the technique of the book (the so called stream-of-consciousness) and I admire Woolf for being able to write so. It is exactly how some of us think. Imagine yourself at a dinner table with friends. Doesn’t your mind wander in and out of the conversation with shrewd observations of the participants’ vanities, hidden agendas, complexes, strengths and weaknesses; and don’t you analyse and judge them; blame them for things only to forgive them the next second; pity or worship them; visit the past or the future for a while; and then come back and say your say? Can you write down every little tiny thought that goes through your mind, in the order they go through your mind, and can you make it meaningful and interesting? Virginia Woolf can. I think, that’s what makes this book so critically acclaimed. It is a book of difficult craft and incisive analysis of frailty of life. However, all this does not necessarily make a pleasurable reading. Is it possible to create a masterpiece that doesn’t provide enjoyment? I think it is. You might be awed by a masterpiece but not really enjoy it. For instance I find George Pompidou Centre amazing, original, ingenious and impressive. I think it is art. I am glad I had the opportunity to see it. I would have been missing something if I didn’t see it. But, I don’t get pleasure from looking at it, I’d rather go and look at Notre Dame. I understand that To the Lighthouse didn’t make an enjoyable reading for many people. It didn’t for me either. I still think that it was an unprecedented, courageous, skilful work and I am happy to have read it. Works of Virginia Woolf and James Joyce, both of whom incidentally were born in the same year (1882) and died in the same year (1941), are often compared with one another. Most readers preferJoyce over Woolf. I too agree that Joyce had the ability to make his creations more intriguing, gratifying and engaging.